Complete brand audit and redevelopment with supporting brand identity, brand collateral, environmental graphics and signage. Challenged by a marked decline in same store sales, an aging guest profile, increased pub-styled competition, market segmentation, male dominated appeal and deteriorating environments, the Firkin Pub brand required a radical repositioning. Over the past decade, the pub phenomenon has been largely driven by Irish concepts that create a guest experience that is built on precise cultural theming, which is evident in menus, décor, uniforms and style of service. Determined to build on the brands strengths, the strategy team first decided that the Firkin Pubs’ marginal “English” positioning should be expanded to incorporate a broader “British” pop cultural narrative. 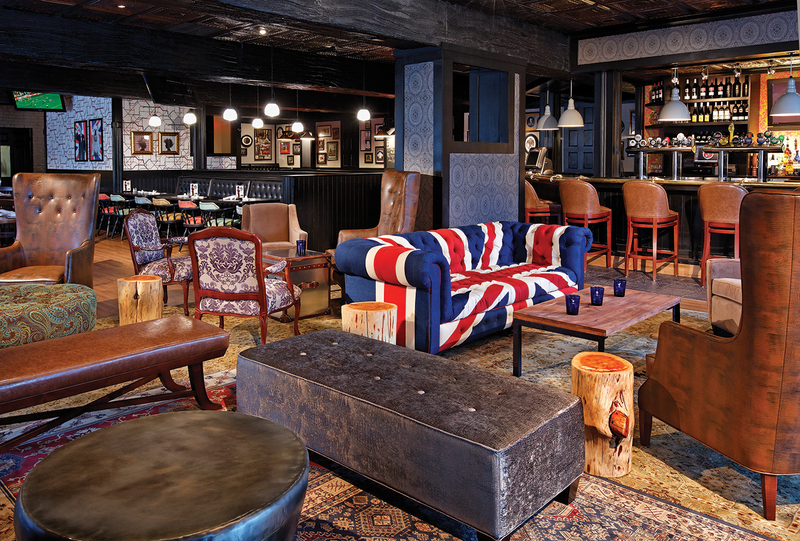 As a result, the evolved pub brand now presents an upbeat and fresh “Cool Britannia” attitude that is infused in every part of the complete guest experience. 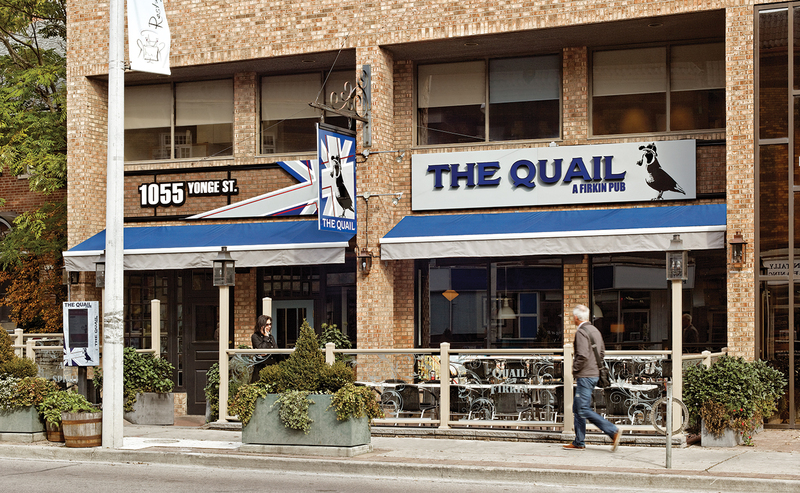 The Firkin Pub’s rebrand strategy strongly speaks to the notion of preserving the idea of “ the local”, to which a neighbourhood can identify with. 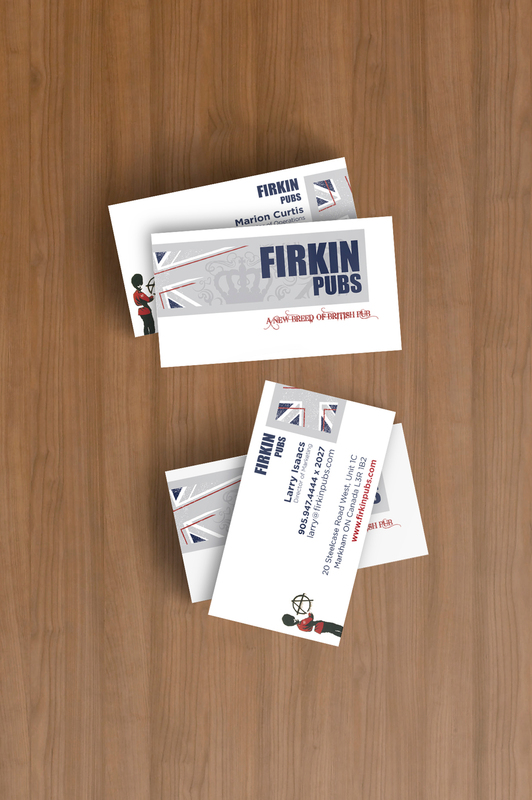 An approach was taken to recompose all Firkin Pub restaurant names to celebrate the local pub and put their diferentiating quality in the forefront. 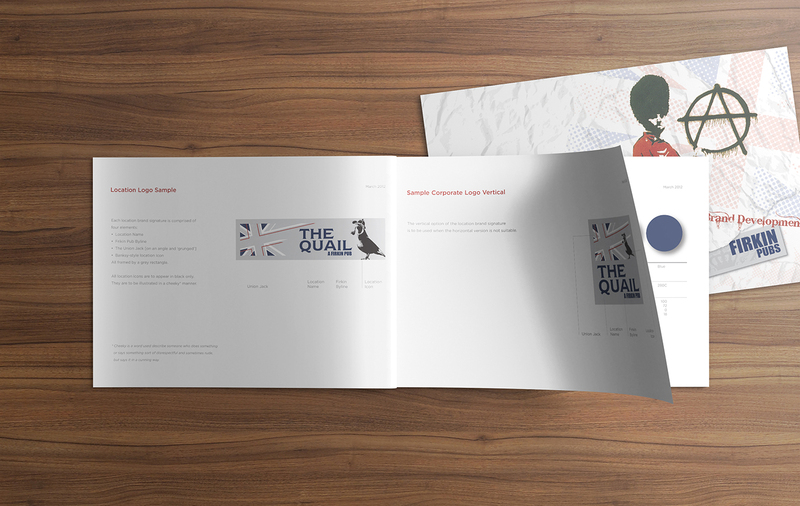 Each restaurant identity was supported by quirky Bansky-inspired characters that flaunted iconic British elements. 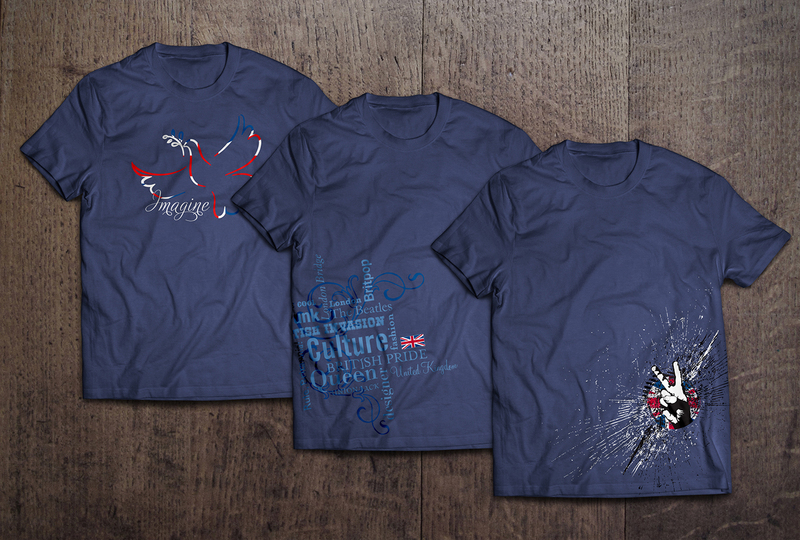 A fresh design, which retains the heritage colours of British culture, was flushed throughout corporate collateral pieces. 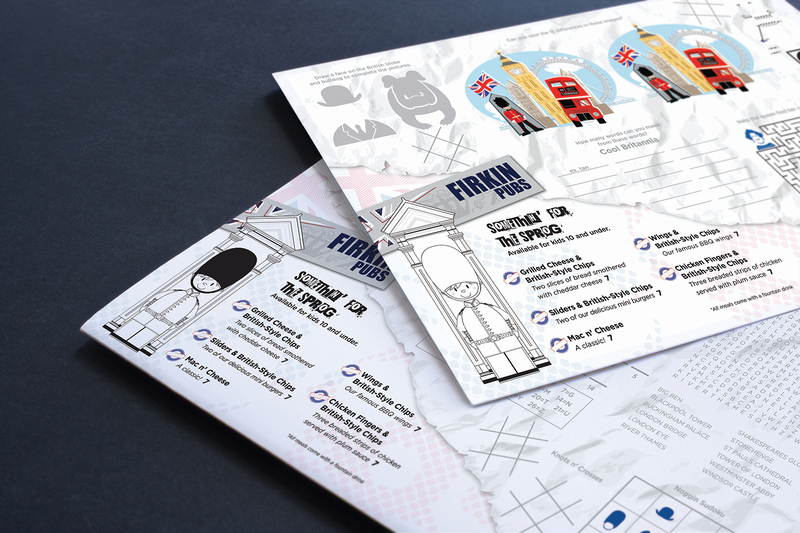 The Firkin Group of Pubs’ overall corporate identity was rejuvenated to reflect the new brand direction. A brand standards guideline was designed to help understand the newly established visual language and to ensure that the brand delivers a consistent message across all touchpoints. 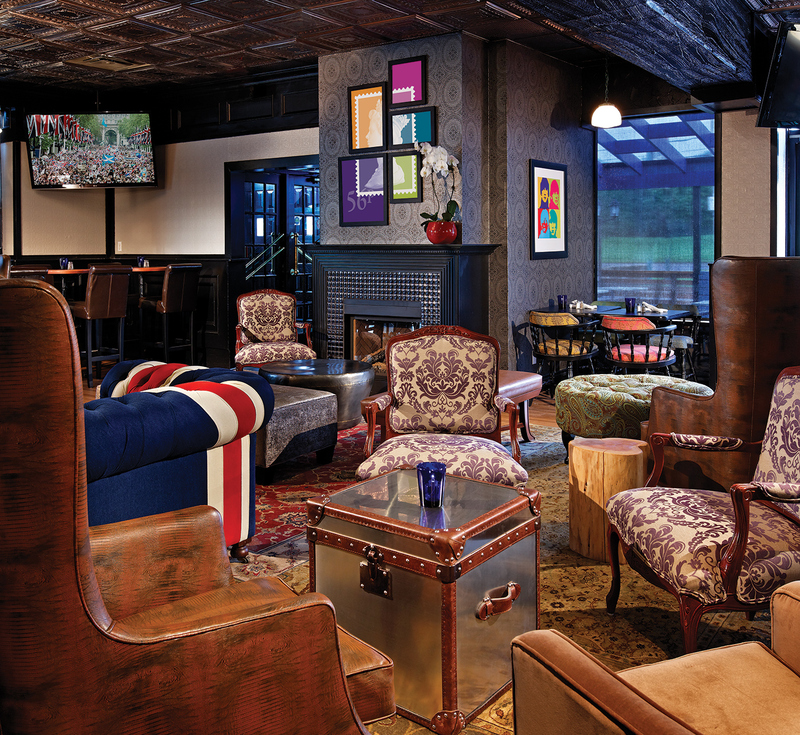 The new modern pub experience is supported by a reinvented food offering, accompanied by a menu redesign. 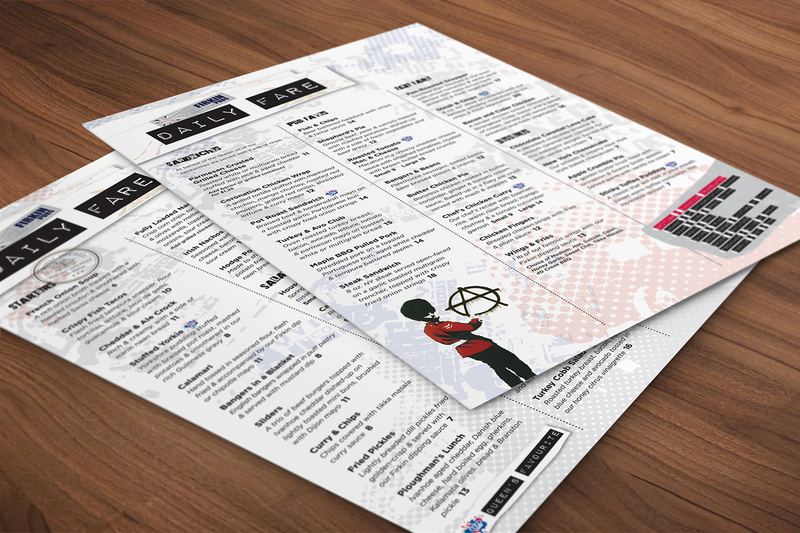 A layered grungy punk rock approach was applied to various menus, continuing the Cool Britannia edge. 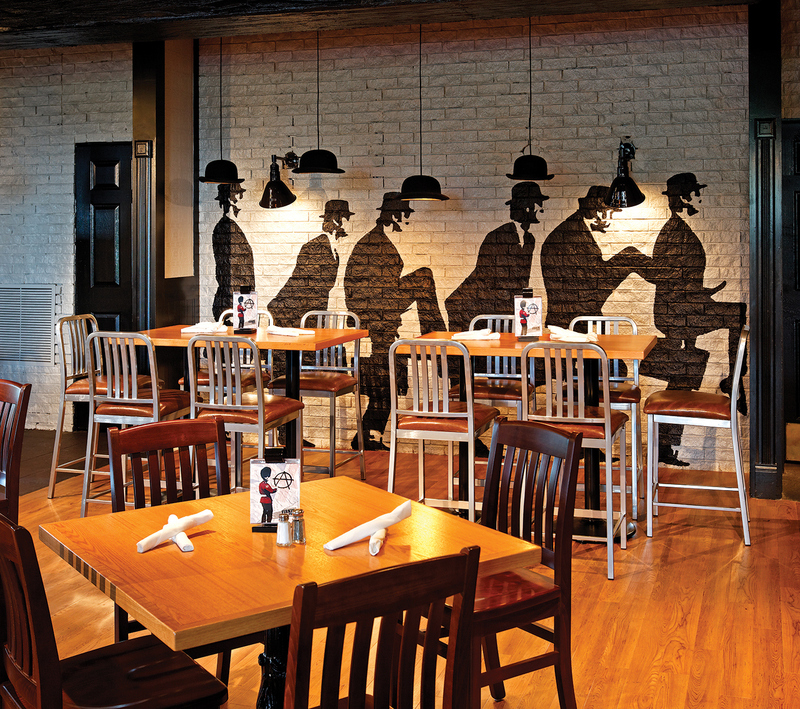 A rich artifacting program was developed as part of the pub’s revived interior, consisting of a few key décor pieces and large peculiar wall graphics highlighting cool British culture in a modern way. For the Balance of the wall décor, a series of art themes was selected to be mixed in an eclectic and casual manner. These created pieces were framed and hung around the space in an unpolished fashion. A complete uniform program was created for the restaurant team. 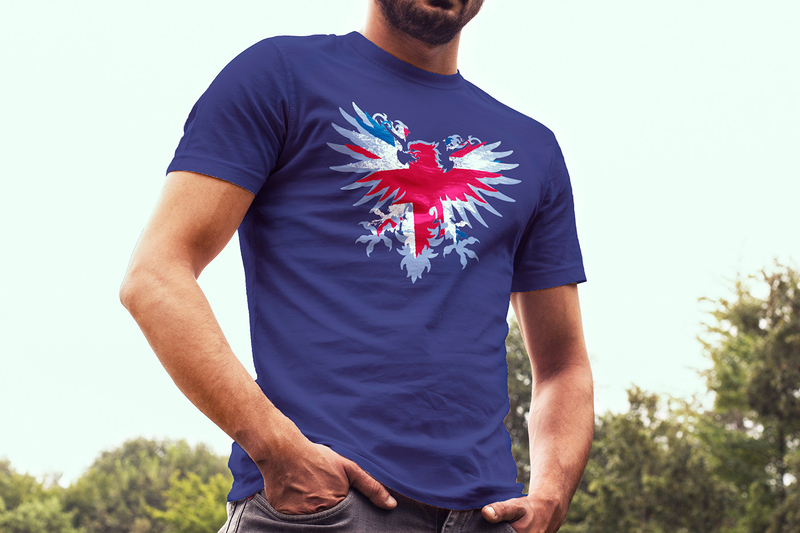 A catalogue of casual custom designed t-shirts highlighting Cool Britannia icons and ideologies was established as the focal point of the servers’ uniform, encouraging them to pair these shirts with jeans to create a funky, cool and relaxed look. A separate stylized uniform program was devised for the bartenders and hostesses. The Banksy-inspired local characters are prominently featured on all exterior signage and are complimented by the iconic Union Jack.